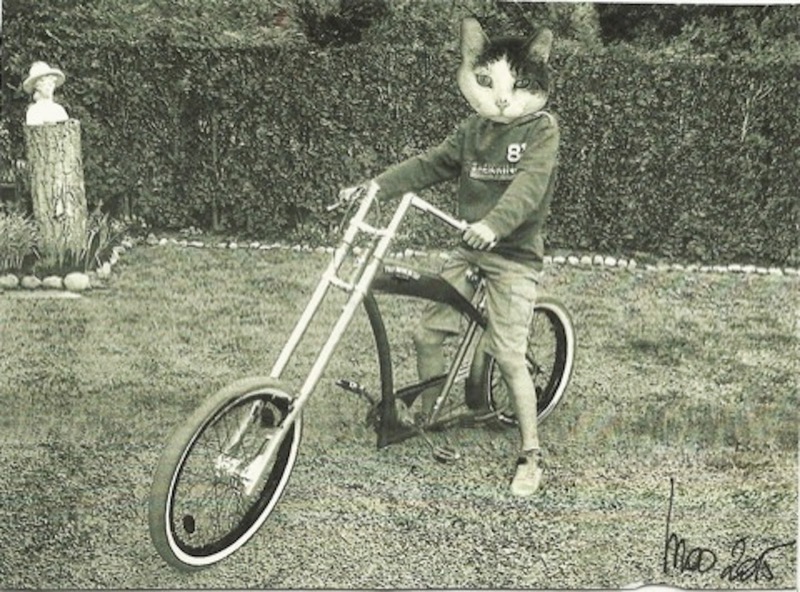 Monika Mori, also known as MOO, sent this delightful cat on a bicycle. I'm very fond of cats and like to image my cat having adventures but never thought of him taking off on a bicycle. Now I will. See more about her HERE.